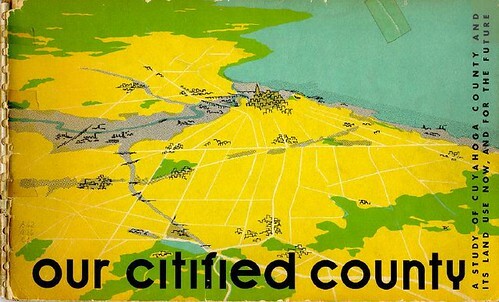 The Cuyahoga County Planning Commission recently digitized an interesting document, Our Citified County: A Study of Cuyahoga County and Its Land Use Now, and for the Future. 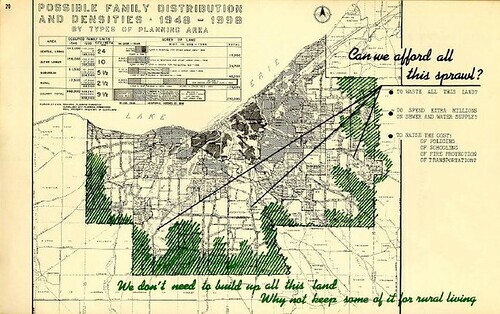 The title, published in 1954 by the Regional Planning Commission, examines land use in Cuyahoga County. 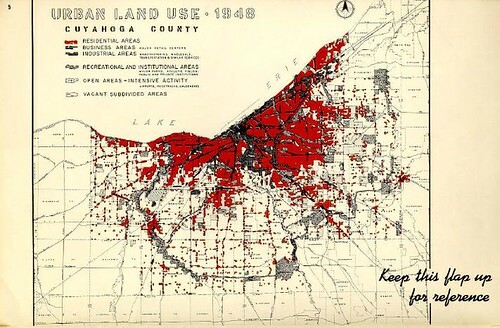 Maps illustrate the use of land within the county, as of 1948. The red shows residential areas, while the darker areas are indicative of business and industry. We can also see the dedicated parkland, especially in the outlying areas - most notably the areas now known as our MetroParks. The authors suggest that the vacant land at the extremities of the county might most cost-effectively remain as rural land. The document concludes by painting a picture of the Cuyahoga County of the future - both literally and figuratively. There's the suggestion that proper land use wout provide space for us to grow our food locally, provide space for work and play, and for us to preserve water quality. 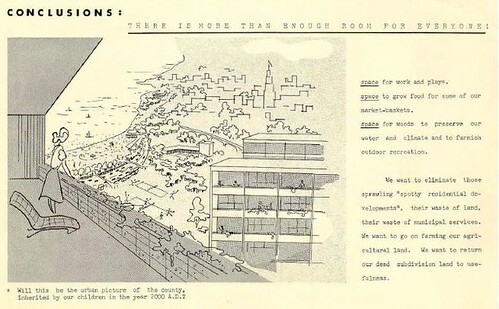 Overall, it's an interesting view of how we might have developed in the past 50 years. The questions raised are many of the same ones that we're facing now, though the vacant land is in different areas now. On Tuesday, I reported that this house, the James H. Foster residence, was slated for demolition. 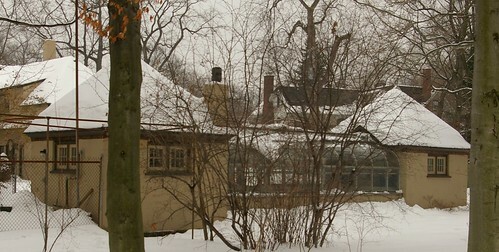 This 8,000+ square foot structure, at 2200 Devonshire Drive, Cleveland Heights, Ohio, is a contributing structure in the Ambler Heights Historic District. 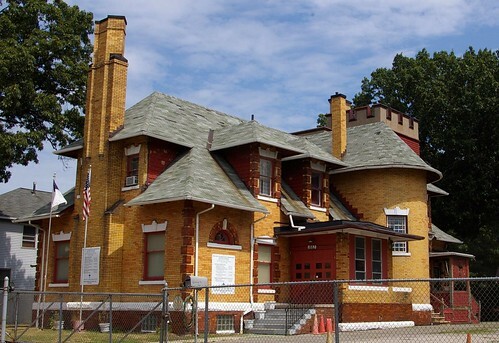 It is the oldest extant house designed by Walker and Weeks, the Cleveland Architectural firm responsible for Public Auditorium, the Federal Reserve Bank of Cleveland, Severance Hall, the Lorain-Carnegie Bridge, and the main building of Cleveland Public Library. On Tuesday, I dealt with the house and gardens. Today, I'll address the history of the people who lived here. James H. Foster purchased the land this house is sited on in August, 1911, from Elizabeth S. Caswell and Martha B. Ambler. (Cuyahoga County Recorder, AFN: 191108160057 and 191108160058) He hired Walker and Weeks to design the house, which was completed in 1911 or 1912. James H. Foster, whose relation to the public interests of Cleveland is that of vice president and general manager of the Hydraulic Pressed Steel Company, is contributing through his activity in this field to the business enterprise that has led to the growth of the city and given it rank with the ten largest cities of the Union. Of New England birth and ancestry, he is a direct descendant of Thomas Foster, who was one of the early settlers of the Hartford colony of Connecticut, having come to America from England in 1660. His grandfather, Hiram Foster, was a prominent Connecticut manufacturer. His father, Samuel H. Foster, was a native of Meriden, Connecticut, and the senior member of the well known hardware manufacturing firm of Foster, Merriam & Company. He served during the Civil war on the staff of General Phil Sheridan and military and commercial duties were alike carefully guarded in his hands. His death occurred in 1889, when he had reached the age of fifty-four years. 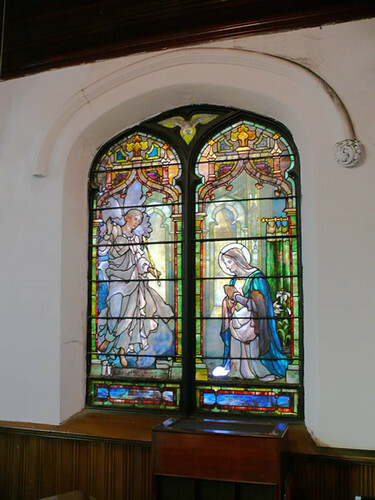 His wife, who bore the maiden name of Mary Stanley, was a daughter of Augustus and Elvira (Conklin) Stanley. 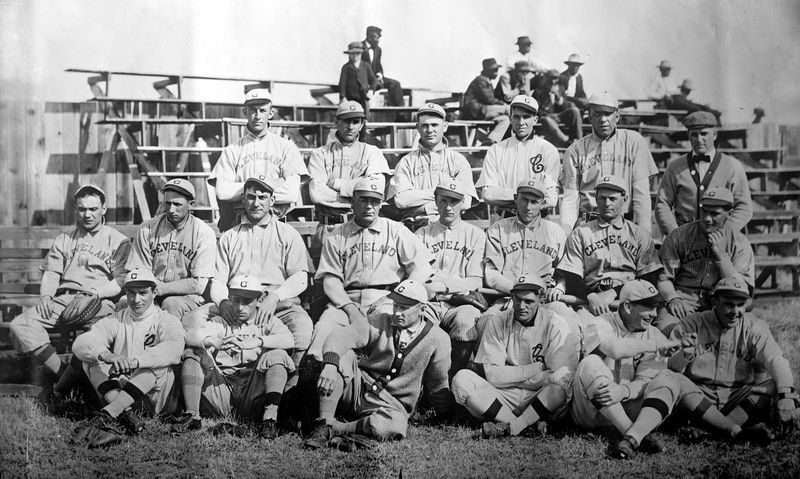 The Stanleys are one of the old New England families and were founders of the Stanley Rule and Level Company of New Britain, Connecticut. James H. Foster was born in Meriden, Connecticut, April 10, 1879. Pursuing a course in St. Paul's school at Concord, New Hampshire, he thus prepared for collegiate work, which he received in Yale University and Williams College, being graduated from the latter with the degree of Bachelor of Arts as a member of the class of 1900. Thus equipped by liberal education for a business career, he turned his attention to real-estate operations in Pittsburg, Pennsylvania, where he continued for one year. During the succeeding three years he was connected with the American Tubular Wheel Company and in 1904 came to Cleveland, entering into active association with the firm of Parish & Bingham in the capacity of assistant general manager. He thus served until August, 1906, when he organized the Hydraulic Pressed Steel Company, with a capital of one hundred and fifty thousand dollars, and was elected vice president and general manager. From a modest beginning the business has advanced by leaps and bounds until it is the largest institution of its kind in Cleveland, doing a business of one million dollars annually. The plant covers six acres and its capacity is being doubled yearly. Several of the most powerful presses ever constructed are in use in this plant, the largest striking a blow of eight thousand tons at the rate of eight strokes per minute. Their product finds ready market in every section of the United States and the export business is continually increasing. Mr. Foster has contributed in substantial measure to the development of this concern, having knowledge and business experience which have constituted a safe foundation on which to build the success of the enterprise. He is also a director of the Ohio Sherardizing Company and the vice president of the Citizens Taxicab Company. On the 28th of September, 1907, occurred the marriage of Mr. Foster and Miss Edith A. Mcintosh, a daughter of George T. and Elizabeth (Ellis) Mcintosh, of Cleveland. Their only child is George Mcintosh Foster. Their home, at No. 1932 East Seventy-First street, is the abode of a warm-hearted and generous hospitality. Mr. and Mrs. Foster are members of the Emmanuel church and in church and charitable work Mrs. Foster takes active and helpful part. Mr. Foster belongs also to the East End Tennis Club and the Hermit Club, while his political endorsement is given the republican party. His leisure hours are devoted to golf, tennis, baseball and various outdoor athletic sports. Pleasure, however, is always the secondary consideration to business with him and his success in manufacturing circles is due to an unlimited capacity for hard work, splendid executive ability and the faculty of enlisting the support and cooperation of strong business men in his projects. "An industry with a history of more than ten years of prosperous growth and now without question one of the leading concerns in contributing to Cleveland's greatness as a center of the iron and steel industry. Mr. Foster learned the steel business through a rigorous apprenticeship. His first experience was in the Pittsburgh district, where he worked for the steel mills at any post of service which his superiors saw fit to assign him. He began there in 1900, fresh from a college career. He had been previously nurtured in the scholastic atmosphere of old New England. His birth occurred in Meriden, Connecticut. April 10, 1879, a son of Samuel H. and Mary (Stanley) Foster. In 1885 the family moved to New Britain, Connecticut, where James H. Foster attended the public schools. He afterwards completed a preparatory course in St. Paul School at Concord, New Hampshire, and in 1896 attended Yale University, but a year later transferred to Williams College, from which he graduated in 1900. 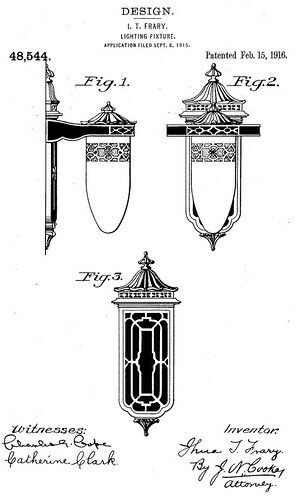 After his three years of apprenticeship in the iron and steel district around Pittsburgh, Mr. Foster came to Cleveland and found a position with the Parish & Bingham Company in their sheet metal stamping works. In a short time he was manager of this plant and filled that position until 1906. In that year he was instrumental in organizing and incorporating the Hydraulic Pressed Steel Company. The first officers of this organization were: A. W. Elleuberger, president; Mr. Foster vice president and general manager; and H. F. Pattee, secretary and treasurer. The plant was ready for operation in 1907. It then contained 20,000 square feet of floor space. The plants now include a steel plant of four open-hearth furnaces, rolling mills, sheet mills, etc., located at Canton, Ohio, and two fabricating plants in Cleveland. These plants occupy 133 acres of land, have an aggregate capital of over $12,000,000 and employ about 5.000 men. The present officers are: A. W. Elleuberger, chairman of the board; J. H. Foster, president; Ernest E. Bell, vice president and director of sales; R. R. Freer, vice president and comptroller; R. D. Mock, treasurer; H. F. Pattee, secretary. Mr. Foster is a member of the Union Club, Country Club, Mayfield Club, Roadside Country Club and Hermit Club. Politically he does his voting according to the dictates of an independent judgment. 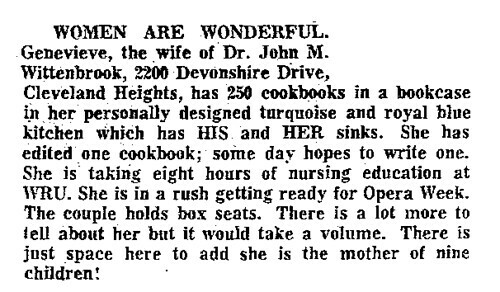 In Cleveland, September 28, 1907, he married Miss Edith Mcintosh. They have four children: George, aged nine; Mary Stanley, aged seven; James H., Jr., aged five; and Elizabeth Mcintosh, aged three. George is a pupil in the Hawkins School for Boys, while Mary Stanley attends the Laurel School for Girls. From left, Dr. and Mrs. John M. Wittenbrook and Mr. and Mrs. Robert M. Hornung. 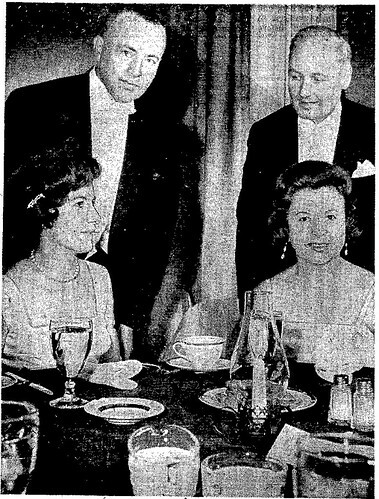 Plain Dealer Photos (Richard J. Misch and Robert J. Quinlan) From the Cleveland Plain Dealer, 24 April 1962, page 21. Photo courtesy of a Cleveland Area History reader. Remeber this photo, which ran in part one of the story? The Cleveland Plain Dealer, 16 April 1964, page 19 provides an interesting bit of history on it. The relatively long tenure of the residents of this house is part of what has kept it in such good condition. All the evidence that I've seen suggests that this house is (or was, prior recent work) quite habitable as-is. Even the kitchen, which some seem to grimace at, is a good, solid, workable space. Would it look better with matching appliances and without the wallpaper? Yes. But these are minor things, matters of taste. If you do have evidence to the contrary, please email me, that I may share it here. 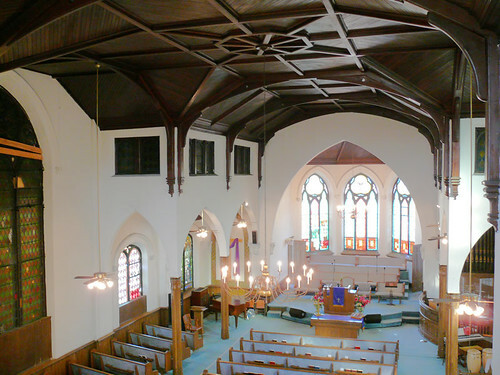 The question being raised here is not just whether this landmark deserves to stay, but what what are the rights of the community when someone tries to substaintially alter the neighborhood. On 2 February, Chuck Miller reported, in the Heights Observer, on a troubling matter regarding the fate of this house, the earliest extant residence designed by the famed Cleveland architectural firm Walker and Weeks. Among the firm's major works can be counted Public Auditorium, the Federal Reserve Bank of Cleveland, Severance Hall, the Lorain-Carnegie Bridge, and the main building of Cleveland Public Library. 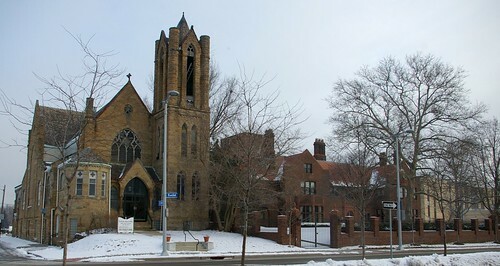 The house, at 2200 Devonshire Drive, in Cleveland Heights, is a contributing structure in the Ambler Heights Historic District. It is known as the James H. Foster residence, after the first owner. Miller reported that the new owners, Steven E. Nissen and Linda R. Butler, plan to demolish the house, in favor of a smaller, more "green" structure. This is not the sort of house one usually sees threatened with demolition. Most often, it is a structure that has long been neglected. This is simply not the case here. 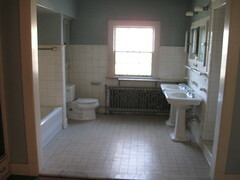 Take a look at the interior photographs of this house, taken when the house was listed for sale. It's phenomenal - the very best quality of work and finish that one will find in this area. The 8,500 square foot house, sited on a 1.15 acre lot, boasts six bedrooms and six baths. It's beautiful. 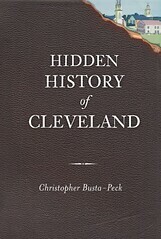 Photos courtesy of a Cleveland Area History reader. 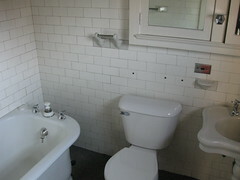 The bathrooms, save for the replacement toilets, show the absolute highest quality of fixtures. It would be very difficult, if not impossible, to replace them today at any price. 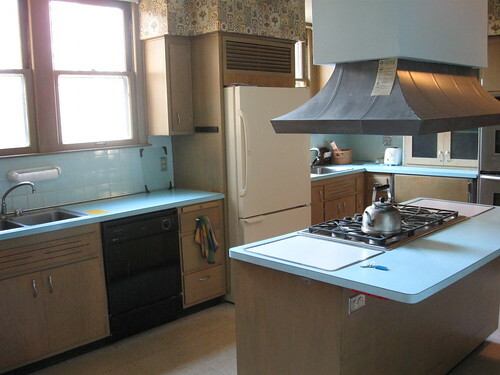 The kitchen might appear to some eyes dated, but it is still quite functional. There's nothing evident here or elsewhere that prevents this house from being habitable. If you've driven through the neighborhood, you've likely noticed the greenhouse, at the rear of the property. This greenhouse was but part of the gardens. Describing a debutant party for Mary Stanley Foster, Cornelia Curtis stated that "The Foster home with its spacious rooms and broad verandas was a profusion of flowers, gift bouquets sent to the debutante, which were placed on tables and banked on the fireplace mantles. 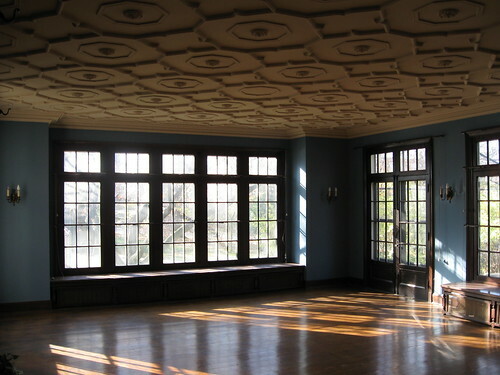 There are two large living rooms at the north end of the entrance hall, and in the second, several steps lower than the first floor, Mrs. Foster received the tea." This house is more than just a contributing structure to the Ambler Heights Historic District - it is one of the most significant houses in that district. 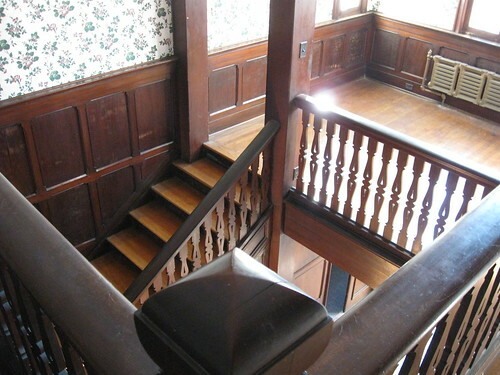 It represents the earliest residential work of Cleveland's greatest architectural firm, Walker and Weeks. There is no good justification for demolition of this house. 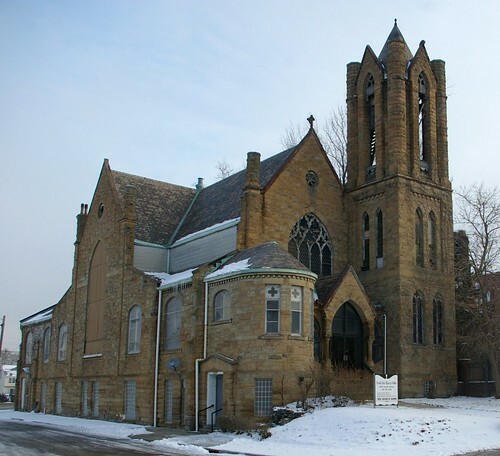 The mere fact that the City of Cleveland Heights lacks the legal power to prevent the demolition should not be seen as an indicator that demolition is acceptable. One might consider contacting the owners, and communicating with them, politely, his or her concern about the loss of this piece of our community. This house represents a significant part of the history of the neighborhood and the city in which it was built. Demolishing it will mar the landscape, and detract from the neighbors who have put serious efforts into fixing their houses. I respect that the owners of this house are interested in investing in this community, however this is simply not the way to do it. There are plenty of other good home sites. As of yesterday, a demolition permit had not yet been pulled. It's been said time and again that the greenest structure is the one that's already built. It would be more green to keep this house than to discard all the built energy and history it contains. Check in later in the week for part 2, where I'll deal more with the history of this house and the people who lived there.